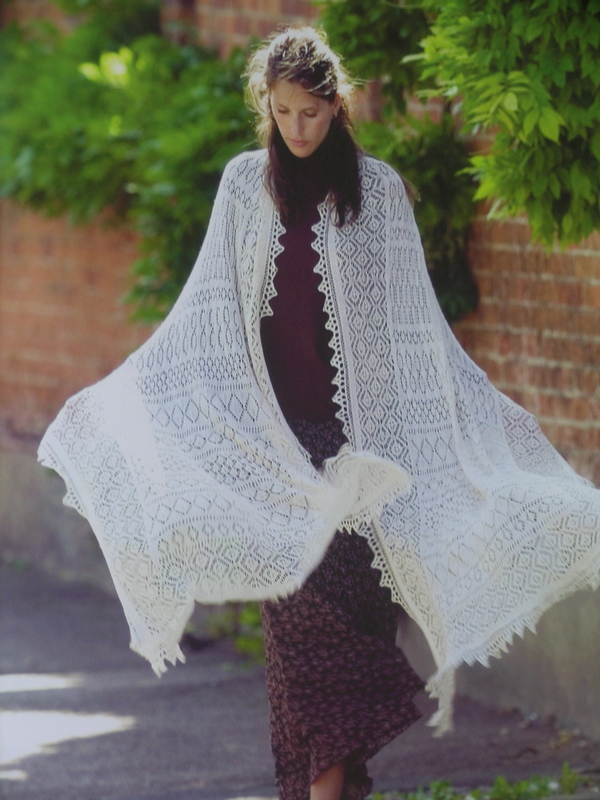 This lace weight sweater is boring to knit. I don’t quite know why I started it, and I hope that someone likes it. Almost ready to put the sleeve stitches on holders. I decided to make the size Medium. It looks big enough, and this yarn will stretch I suspect. 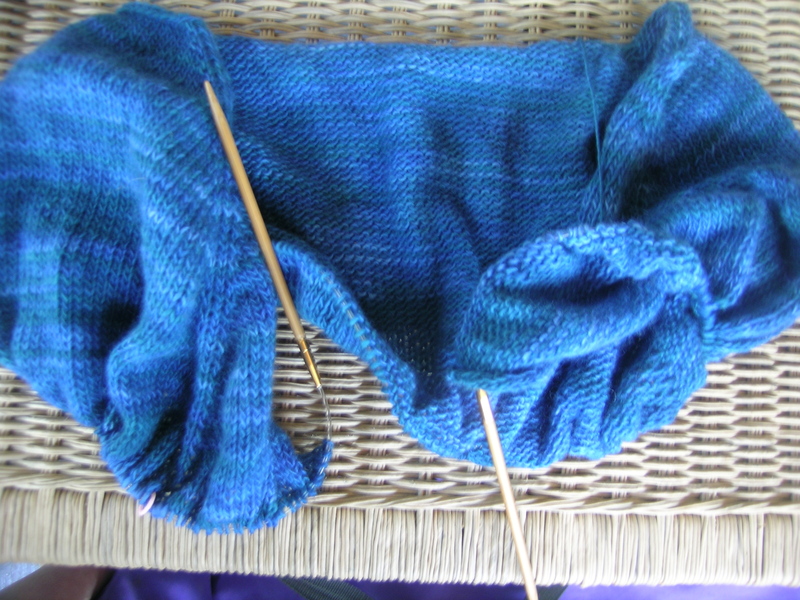 So, I needed something interesting to knit, and in this heat, there is no way that I am going to pull out one of the unfinished wool sweaters. So yesterday, I spent time looking at all of my lace books. 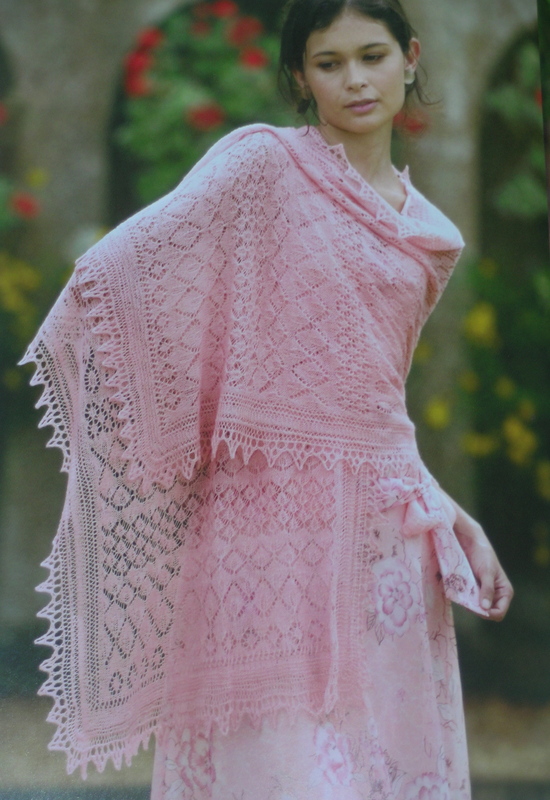 I chose to make the sampler shawl (smaller size, which is still quite big), from the book Victorian Lace. I also wanted to use yarn from stash, so this is an alpaca/silk blend. It is very soft. 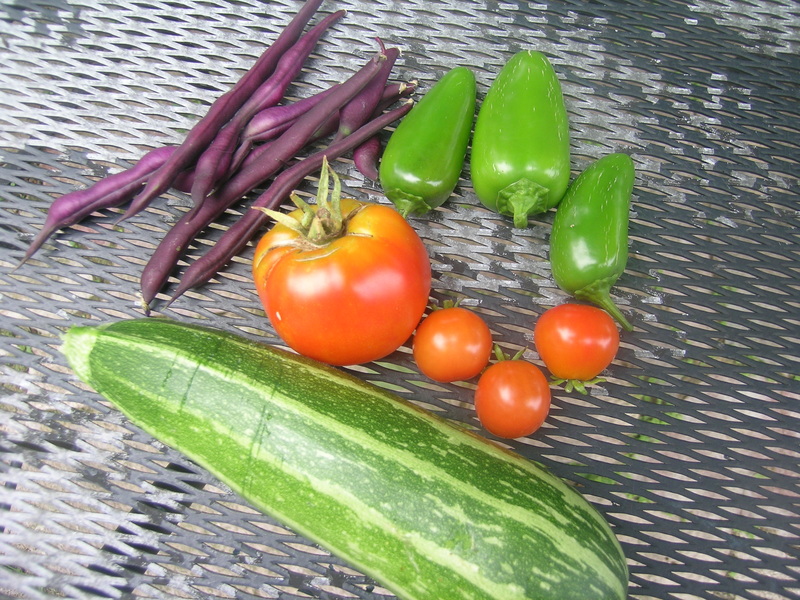 And, on a separate note, here is today’s harvest from our little garden. The heat has been good for the plants. I am growing bush zucchini, and it seems to be doing well in a large container. The purple string beans are climbers growing over a trellis at the back gate instead of flowers. It has beautiful purple flowers, and I love the color of the beans. They turn green when cooked. 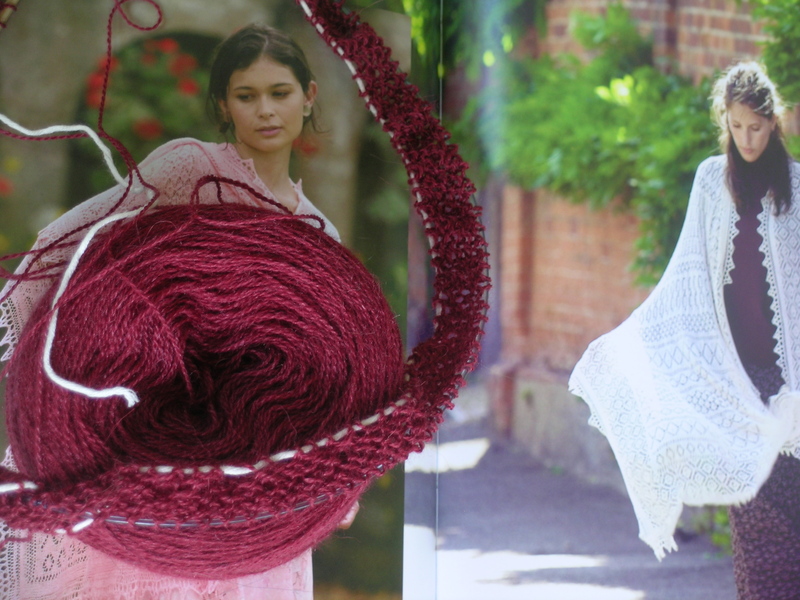 I’ll be interested to see how your lace weight sweater turns out – I had thought of doing something similar myself, but hadn’t realised that there are already patterns carrying out that idea. (It’s hard to be original…) Sorry it’s turning out boring. It’s a lovely colour though – hope you’ll like it in the end. My recommendation would be to NOT purchase a pattern. You can use any pattern that you already have, or make one of your own, check your gauge and go. The feel of the lace weight yarn in a sweater is very nice.